On the eastern bank of the River Nile, the city of Luxor still lives in the shadows of the mighty pharaohs who ruled here thousands of years ago. Behind them they left monuments whose grandeur and mystery is still unsurpassed. These days, the thriving city, which fans outwards from the Nile, is home to over 300,000 residents and is full of colonial buildings, magnificent hotels, and colourful bazaars. Luxor is a part of the ancient city of Thebes, that was the ruling seat of power in Egypt for millenniums ago, Luxor is now a major holiday destination, particularly for those interested in ancient Egypt. The area boasts an exceptionally rich legacy of temples, tombs and monuments. Around these relics of ancient Egypt's celebrated history are signs of the prosperous industry of the modern day - tourism. Luxor town is crowded with souvenir shops, hotels and restaurants, while the Nile River carries feluccas and luxury boats which hand picked by Beyond of the Nile team. 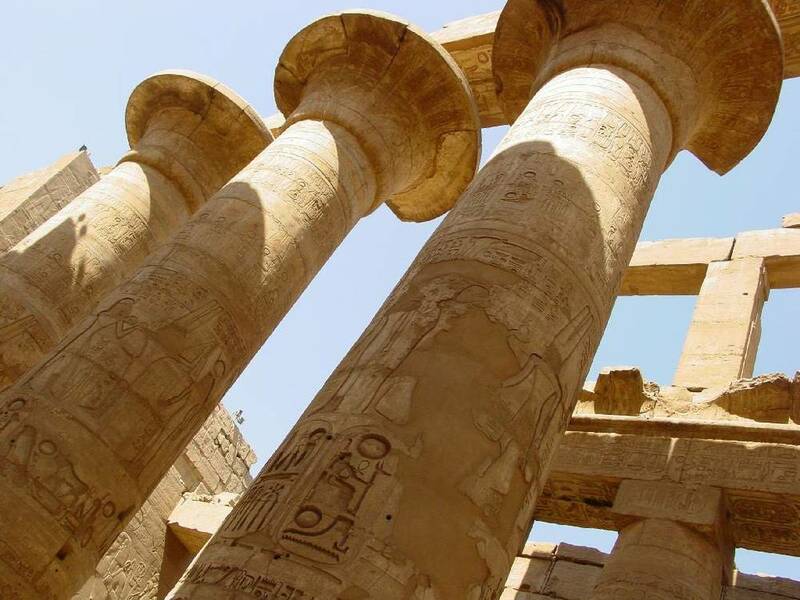 The mysteries of Ancient Egypt can be discovered by visiting some of Luxor's surrounding temples including Luxor Temple, Karnak, Ramesseum, Medinet Habu, the Temple of Hatshepsut and the exquisite Valley of the Kings, which should be visited in the early morning. Karnak Temples is an extraordinary complex of sanctuaries, pylons and obelisks, dedicated to the Theban triad but also to the greater glory of pharaohs. Constructed millenniums ago, it has at its heart the temple of Amun, 'home' of the local god who became the most powerful deity in Egypt and the wider region. Be sure to allow enough time: wandering through this gigantic complex is one of the highlights of any visit to Egypt. Luxor Temple, temple built for the ritual practices exercised at the most important Ancient Egyptian festival, The Opet Festival, when the statues of Amun, Mut and Khonsu were brought from Karnak, along the Avenue of Sphinxes, and reunited here during the inundation. Largely built by the New Kingdom pharaohs Amenhotep III (1390 till 1352 BC) and Ramses II (1279 till 1213 BC), this temple is a strikingly graceful monument in the heart of the modern town. This desert space contains the ancient burial grounds to many of Egyptian pharaohs, over 62 royal tomb also the famous Tomb of the young Tutankhamun. each tomb quite different from the other. Most tombs described here are usually open to visitors. They are listed in the order that they are found when entering the site. The best source of information about the tombs, their decoration and history is the Theban Mapping Project. A mortuary temple dedicated to the longest ruling female in Ancient Egyptian times, Queen Hatshepsut. The temple is decorated with statues, sphinxes, and reliefs, which have been meticulously restored over time. the temple located beneath massive cliffs near the west bank of the Nile, the Mortuary Temple of Hatshepsut, also known as Deir el Bahri, is dedicated to Amon-Ra, the sun god. Designed by an architect named Senenmut, the temple is unique because it was designed like classical architecture. Note the lengthy, colonnaded terrace some of which are 97 ft high, pylons, courts, and hypostyle hall. Inside you’ll see the sun court, chapel and sanctuary.